When the matter of a favourite Doctor comes up, for fans of the classic series, Tom Baker is usually mentioned. For fans of the new series, it’s David Tennant who is usually mentioned as a favourite. My favourites from the old series and the new? In theory, Tom Baker should be “my” Doctor, because he was the first one I saw, in Episode Three of “The Seeds of Doom.” And yes, I did have a very long scarf. But now, when I watch his stories, there is something that is just a little too self-indulgent about the performance. For a while, I thought of Colin Baker as a favourite. I liked the uncompromising nature of his Doctor... and I liked him partly because others didn’t. It was a shame he never got a chance for some of the long-term plans he had for the character to be played out. As time has gone on, though, I think I have settled on Jon Pertwee’s portrayal of the Doctor as my favourite from the original series. His performance, with its elegance and charm and slightly over-the-top-costume, solidified the character of the Doctor, and the Doctor’s been that way more or less ever since. Some of the moments I remember most strongly about Pertwee were the moments of moral outrage. His Doctor had a strong sense of right and wrong. 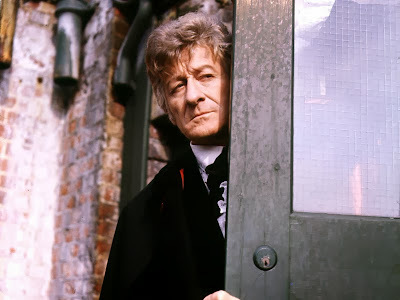 Given that much of the third Doctor’s tenure was spent in the company of the military, the Doctor, a pacifist action hero, often had a lot to be angry about, railing against the blunt methods the soldiers around him favoured. But Pertwee’s Doctor was also kind and generous, even to those who often exasperated him, like Brigadier Lethbridge-Stewart. And he would turn from exasperated to warm in second... and you believed those two emotions were both just there under the surface. The third Doctor was a bit more of a straight scientist than most of the other portrayals, and as a working scientist today, that’s another element that appeals to me. Maybe it’s one reason why a personality quiz said this was the Doctor I most resembled. If Christopher Eccleston’s Doctor hadn’t worked, Doctor Who would have had one season in 2005, died, given classic series fans one more DVD boxed set for their collection, and that would be that. I am absolutely convinced of that. I’m also convinced that the show wouldn’t have been as successful if it had launched with David Tennant’s Doctor. It’s a worldwide hit now, but I remember when even within science fiction fandom and the the geek community, Doctor Who was a tiny specialized fan niche. The show was viewed as something of an embarrassment by a lot of people: too convoluted, obsessed with its long history, and too eccentric. 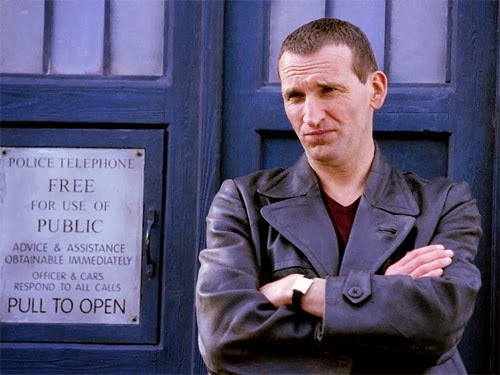 The ninth Doctor was the most grounded Doctor. Eccleston’s was probably the first interpretation of the character that wouldn’t look out of place walking down a street. The Doctor’s trademark leather jacket was not such an obvious costume as previous incarnations, but it was a great symbol of a traveler. The Doctor’s eccentricities were toned down a little. Doctor Who needed that kind of performance right then for new audiences to get into the show. But it’s also when he’s his strongest and most resolute. And when I rewatched his stories earlier this year, I was struck by how often he was grinning. Madly. With complete exuberance. While he was described sometimes as the “gunslinger” Doctor, a man who was wounded and lonelier and more vulnerable than ever (watch him meet the last Dalek), there was always that joy of exploring the universe, and being excited to see what was around the next corner. Finally, when talking about favourite Doctors, there is always a hint of, “Which version would you most like to be, or feels closest to you?” Let’s just say I own a leather jacket and leave it at that. And that personality quiz I mentioned above? Ninth Doctor was second choice. Chris Eccleston saved Doctor Who. He saved a show I loved and help make it into a worldwide success and ensure that I got many, many more stories from the TARDIS. And I will always be grateful for that. 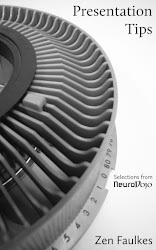 Great to see this post -- one of my obsessions. I know what you mean about Tom Baker being a little over the top, especially in his later series, but for me he still gets the nod among the original crop. Glad to see you evaluating Eccleston's much more off-centre performance ahead of Tennant's: I did love Tennant, but I think there's something much more believable about Eccleston. Tennant sometimes comes across as though he knows he's in a TV show -- one thing the Doctor can never do. Still, in my estimation Matt Smith's thoughtful, underplayed interpretation is head and shoulders above all the others. Just watch him interrogating the rogue Silurian warrior in The Hungry Earth: insightful, compassionate, patient, empathetic, but also as hard as nails. "We will wipe the vermin from the surface and reclaim our planet! ", the spits. "Do we have to say vermin, they're really very nice", the Doctor replies.